Arrive Cape Town. Our representative will greet you at airport and you will be transferred to your hotel like the St.Georges or similar After Freshening up you will be transferred to the renovated Victoria wharf and Alfred waterfront, Cape Town’s liveliest area, for a ferry boat ride and tour of Robben island-The historic place where Mr.Neslon Mandela was kept as a prisoner for twenty long years. Indian Dinner and Night at Cape Town. Indian oceans meets the Atlantic, Boulder Bay to see the Jackass penguins Kirstenbosch National Botanical gardens and many other points. Half day Cape Town city and table Mountain (Cable Car) tour. No trip to Cape Town would be complete without a trip on the cable car to the Top of Table Mountain, The dramatic backdrop to the city from where you will experience stunning views of the city and eastern slopes of the hill where there is huge indigenous flora at the Kirstenbosch National Botanical Gardens. pick up is arranged at 07h45 and you drop off at 12h30 noon, the balance day you are free to explorer Cape Town water front which offers fine dinning, great shopping and a wealth of entertainment and sight seeing. Prominent amongst these are the BMW Imax pavilion and attractions like the scratch Patch. Try your luck at collecting some rare jewels and possibly a lucky diamond! Today the garden route tour begins. 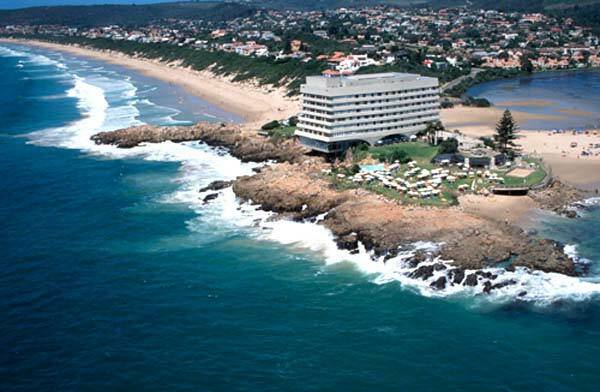 The garden route is the jewel of South Africa and undoubtedly the most picturesque. 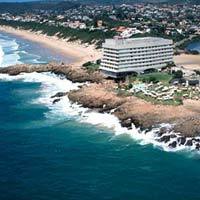 Stretching from Mossel Bay to port Elizabeth it is stretch of lush vegetation, gorges, rivers and unspoilt beaches. The guests are picked up at 08hrs and they travel to Worcester via Du Toits kloof mountain pass. At Worcester they visit the fascinating open air museum, a live and interesting exhibition dedicated to the farming community. Lunch is arranged it Montague. They then travel through the Outeniqua mountains to the little karoo.Changing scenery from lush farmland to semi-desert areas make this a day of surprises. A warm welcome awaits them from the staff of the Riempies Estate hotel where they we stay overnight. Today you awake to the freshness of the Karoo air. After a good breakfast we visit the world famous Cango Caves, Where they take a guided tour lasting over an hourfull fascination. The cango caves one of the largest stalactite and stalagmites caves and chambers inside are awe inspiring. They then set off the crocodile and Cheetah farm, to see the breeding of these frightening reptiles, but even more fascinating is oudtshoorn and they visit high gate ostrich farm for a tour and lunch. The afternoon brings them over the mountains, through George and wilderness en route to Knysna. Eden to show them the heart of the garden route. Late morning we set sail on the knysna lagoon aboard a private catamaran. Sailing is one of the traditional modes of transport in this area and here you will be able to enjoy a most spectacular view of the area before they return to knysna for lunch. we may than join a real steam train which travels along one of the world’s most picturesque train routes from knysna to George (this is subject to conditions being favorable for the train to operate) after arriving at George the guide will transfer them to the king George hotel or similar. Today you will be transferred to the George Airport for the flight to Durban. on arrival you will be transferred to the hotel where after freshening up we proceed for the Durban city tour. Durban sightseeing includes a visit to the beach and water front. Durban has a large population of Indian origin. The markets hence have Indian impact at places. After breakfast at 0830 h we pick you up from the hotel for a visit to Shakaland where guests are exposed to the Zulu cultural lunch. Zulus are the local African warrior tribes who still exhibit there traditional dressing and live in there own communities. This morning you are free to swim or enjoy all the attractions of the beach front. There are several activities and the sea world is worth a visit. At around 1500hrs we will be transferred to Durban airport the flight to Johannesburg, the Gold city and capital of South Africa. On arrival we will be transferred to hotel in Sandton. Today we proceed to the grandest attractions on the African continent and a venue to many beauty pageants the Sun City complex where they check into the sun city main hotel. Enroute we visit Pretoria is known as the “Jacaranda City”. Visit the Voortrekker Monument. This Large granite edifice, which incorporates a museum, commemorates the great trek. Church Square, dominated by a statue of Paul Kruger, Presidnt of the South African Republic From 1883 to 1900the square is surrounded by fine old buildings, includising the old Raadsaaal (parliament) and the place of justice. The impressive Union Buildings, designed by sir herbet Baker and South Africa’s finest architectural masterpiece. This was the setting for Nelson Mandela’s historic inauguration on 10 may 1994.check-in upon arrival at Sun City indulge and enjoy the activities at this place. The whole day and night you are at Sun City. Enjoy the casinos Shows ride and so on. You may optionally have a balloon ride at Pilanseburg. Today you are picked up at Sun City transferred to Entabeni game lodge,(situated in a malaria free area) where they are made to feel welcome and can join the game drive including night drives. There are a number of other activities like bush walks, bird watching, there is also pool for cooling off. A full day to enjoy the Bushveld with all its many surprises. Today the tour comes to an end when you are transferred to Johannesburg Airport for the flight home. Any airport in India or pick up at any airport in South Africa.